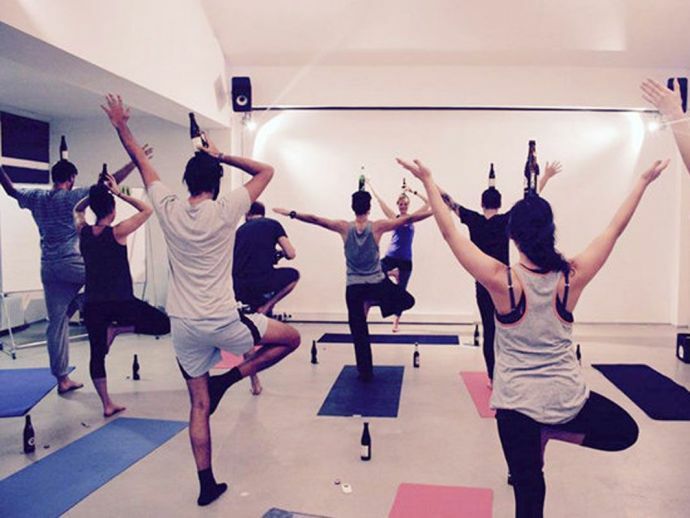 What If We Told You That Now You Can Drink Beer While Doing Yoga? So Just Breath In And Drink Up! Studies show that beer helps in improving your brain function, strengthening your bones and also aids in recovery. So why not have it with yoga? Yes! You heard it right people! BeerYoga is the new thing in town. Studies show that beer helps in improving your brain function, strengthening your bones and also aids in recovery. On the other hand, yoga is considered as a mode of relaxation, so why not combine these two? 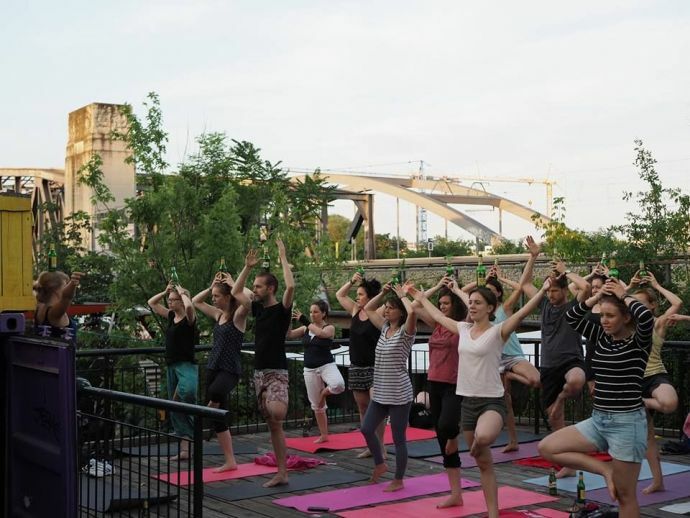 BeerYoga started initially from Germany (surprise! surprise!) and now it has found its ways to Australia. Emily and Jhula, from Berlin, first started the BierYoga AKA BeerYoga as they love beer as well as yoga and found it amusing to combine both. 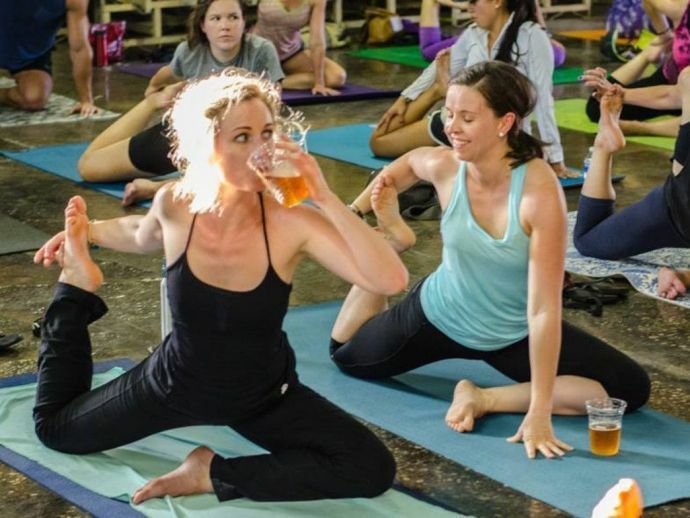 According to their website says, “BeerYoga is the marriage of two great loves – beer and yoga. Both are centuries-old therapies for body, mind and soul. The joy of drinking beer and the mindfulness of yoga compliment each other, and make for an energizing experience”. The sessions of BeerYoga may be fun! 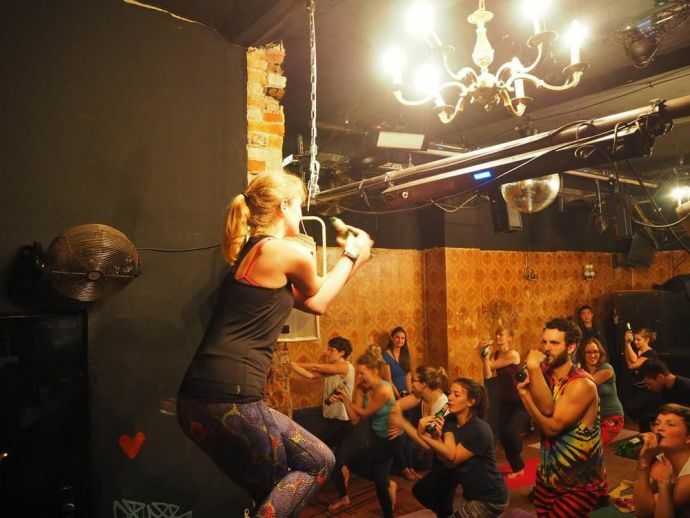 But the founders take the sessions really seriously, as their philosophy states: “BeerYoga is fun but it’s no joke – we take the philosophies of yoga and pair it with the pleasure of beer-drinking to reach your highest level of consciousness”. No matter how exciting it sounds, there is bit of a risk of you dropping your precious glass of beer.